Iron-sulfur (FeS) centers are essential protein cofactors in all forms of life. In particular, FeS centers function as enzyme cofactors in catalysis and electron transfer, and they function as sensors of environmental conditions. Moreover, they are indispensable for the biosynthesis of other protein cofactors including complex metal-clusters. Prominent examples are radical/S-adenosylmethionine-dependent enzymes, whose catalytic activities rely on intrinsic FeS centers. 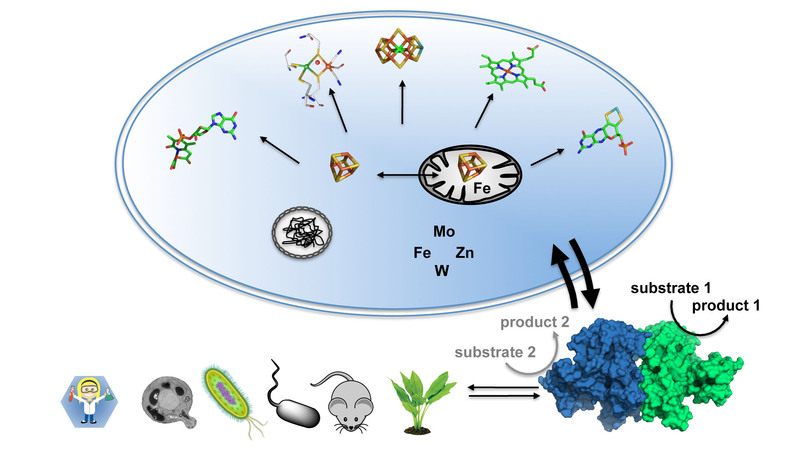 FeS-dependent proteins play key roles in the biosynthesis of complex metal centers such as the iron-molybdenum cofactor (FeMoco) of nitrogenase, the molybdenum cofactor of various molybdoenzymes as well as the active sites of [FeFe]- and [Fe]-hydrogenases. In spite of recent fundamental breakthroughs in metalloenzyme research, it has become evident that studies on single enzymes needs to be transformed into the broader context of a living cell where biosynthesis, function, and assembly/disassembly of these fascinating metal cofactors are coupled in a dynamic fashion. Various biosynthetic pathways were found to be tightly interconnected through a complex crosstalk mechanism that crucially depends on the bio-availability of the metal ions iron, molybdenum, tungsten, nickel, copper, and zinc. These metals are essential constituents for nitrogenase, hydrogenase and selected molybdoenzymes, and some of them are required for their biosynthesis. The current lack of knowledge of metal-centered interaction networks is due to the sheer complexity of metal cofactor assembly with regard to both the (genetic) regulation and metal center biosynthesis. Pioneering methodological developments will allow for a detailed investigation of the biosynthesis and catalytic function of FeS-dependent enzymes in a cellular context, opening up a new era in metalloenzyme studies. These studies are of utmost importance for the understanding of fundamental cellular processes. Moreover, they are a prerequisite for providing a comprehensive view on the involvement of metalloenzymes in metal-related human diseases. 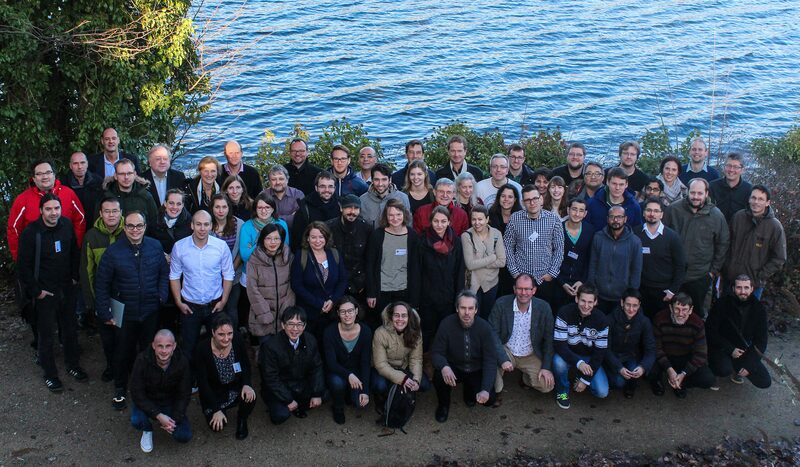 The main aspects will lie on understanding the role of FeS clusters in H2-conversion, nitrogen-cycling and disease-related pathways in Bacteria, Archaea and Eukarya including mammals, plants and fungi. Further, the program aims at the development of future cellular systems for bioenergy production, fertilization and bio-applications. In order to adequately address these questions, novel, interdisciplinary concepts and approaches shall be combined with novel technological advancements.